After an approximately 30-year sojourn in the U.S.A., Boxer has settled down in his old hometown for the past few years and has nurtured a vision of providing training for wayward youths, thus putting them on a positive path in life, at his own boxing gym. With that first step toward his dream realized, Boxer says he is now seeking help in securing needed materials – 1 load sand and gravel, 22 sacks cement, and mesh wire – to begin casting the cement foundation for the gym. 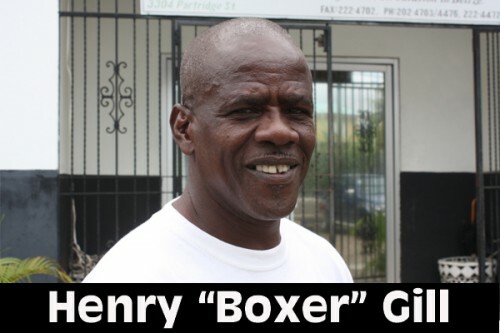 As he continues to pursue his vision of a boxing gym in Lake-I, Henry “Boxer” Gill says he is asking interested members of the public to contribute some of the needed materials to help make his dream for Belizean youths a reality. He can be contacted at cell # 666-8091.